Surfing during the winter? You like Yoga? SaltyWay surfcamp is offering a winter surfcamp in Portugal. 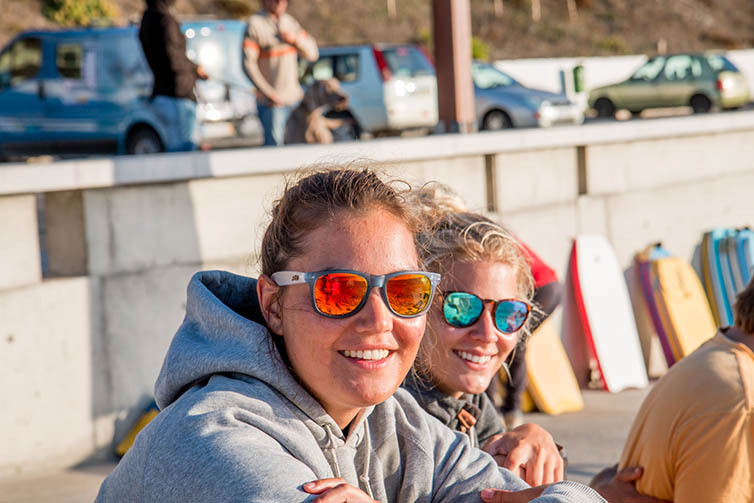 The Surfcamp is located in Colares, not far away from Lisbon. Winter in Portugal means empty beaches and warm weather – especially in november, december and january. While most of the surfers are going to Algarve, Peniche or Marokko, Colares is kind of a secret spot. Here you meet locals only. It’s not crowded and the waves are perfect. 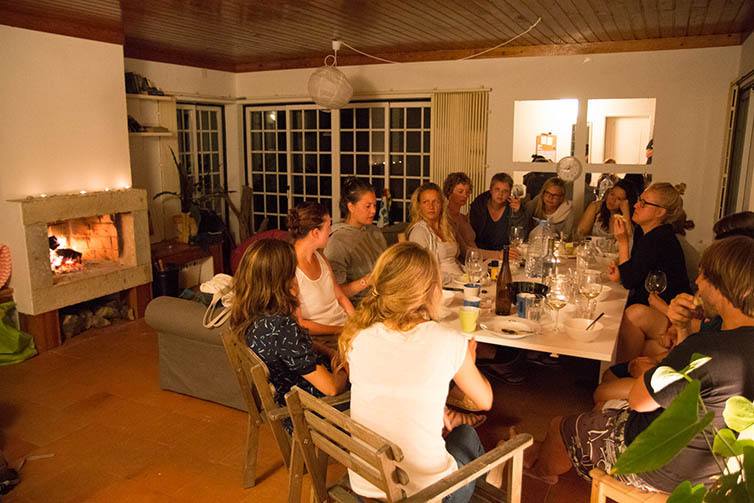 Out surfcamp is open on christmas and new years eve. So you can celebrate the holidays with both: nice people and good waves. Perfect match, right? 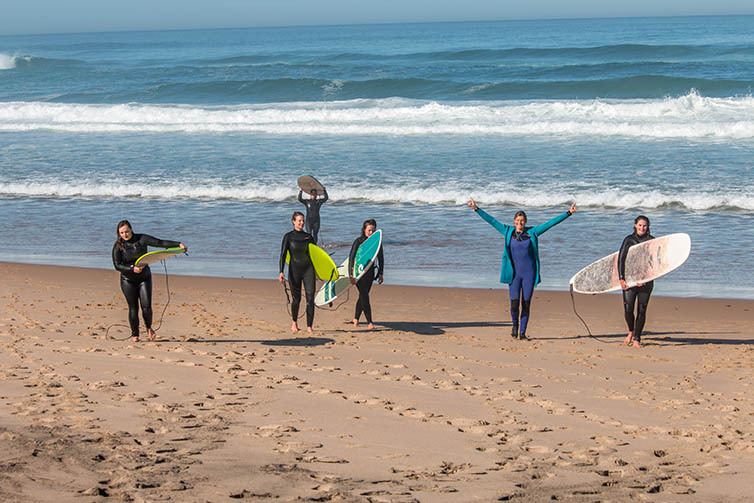 The winter surfcamp is offering the best conditions for intermediates and even for beginners. Everyday we’re searching for the perfect surf spots for your level so that you will enjoy the surf lessons. Best waves guaranteed! Prolimit wetsuits are keeping the body warm. There are no surf lessons on 24/25th of december and on 1st of january – but we go for a free surf. Grap a surfboard and a wetsuit. Get your surfboard! There is a bunch of surfboards in the house: Softboards for beginners, hardboards and a range of short boards. You will have a lot of fun with our equipment. During the day we go surfing – no worries, we are searching for the beach with the best waves. Our surf van knows the way to the best surf spots. In the evening we can enlight an open fire. Either in the house or in the garden. It’s up to you. So wen can make s’mores, hot choclate or a glass of wine while having nice conversations. Surf christmas with us! Twice a week there are yoga classes, so you can relax the muscles with our beloved yoga teacher. 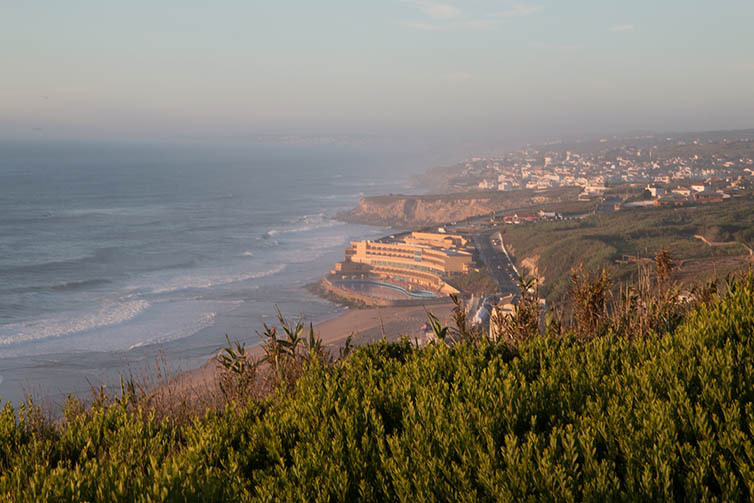 The SaltyWay Surfcamp is located between ocean and mountains, in Colares. There is a huge garden with slackline and fire bowl. The house is light and comfy. There are three bedrooms, so you can choose between two bed room and six bed room. We do self-catering. There is a supermarket in the next village (We recommend the organic and biological fruits and vegetables!) and a farmers market at the weekend. Price: 395€ for 6 bed dorm +56€ for one of the double rooms.